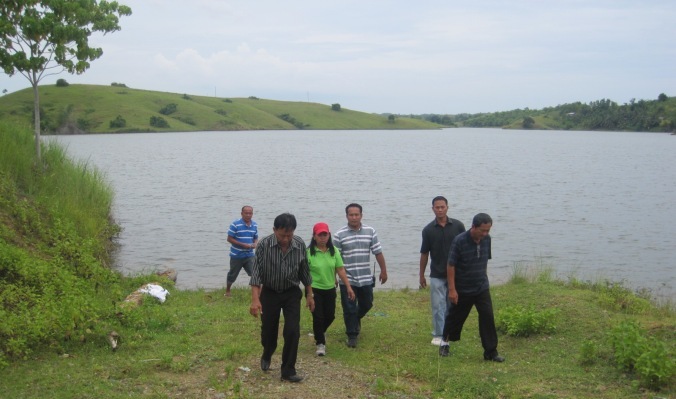 On July 26, 2012, at about 11 a.m., Mayor Restituto B. Auxtero released about 30,000 carp fingerlings at the Zamora Dam. Mr. Apolinario Artiaga, the Executive Assistant, assisted him. Present also was the the Municipal Agriculturist, Mrs. Ponciana Cruda and Mr. Esteban Payusan, the Fishery Community Organizer of the Office of the Provincial Agriculturist(in striped blue polo-shirt). Moreover, on the same day, Mrs. Cruda dispersed about 70,000 fingerlings to Small Tilapia Growers. The fingerlings were from the Caluwasan Fresh Water Farm, at the town of Clarin, distributed to Talibon’s communal body of water for additional stocking and partly to support small backyard tilapia growers. The Farm or hatchery is operated by the BFAR (Bureau of Fisheries and Aquatic Resources) Bohol. 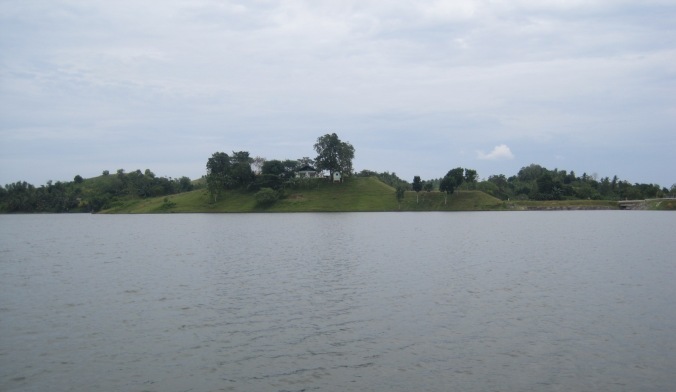 The month of July has been declared as Nutrition Month and the Municipality of Talibon has set up various activities to uphold the occasion and one of them is the dispersal of tilapia and carp fingerlings to fish growers of the municipality. 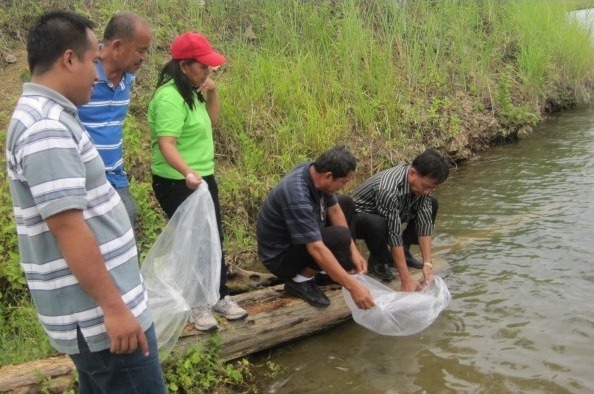 Aside from the dispersal of tilapia fingerlings, carp fingerlings were also released.